You cannot expect your student to want to learn Latin if you do not want to do so. If you model disdain, your student will do the same. Latin opens a lot of doors for students to excel at reading, writing, spelling, et cetera and if you act like learning it is a chore, your student will not see that you understand its importance. Your student will be so impressed that you are doing what you want them to do! I will say at once, quite firmly, that the best grounding for education is the Latin grammar. I say this, not because Latin is traditional and medieval, but simply because even a rudimentary knowledge of Latin cuts down the labor and pains of learning almost any other subject by at least fifty percent. Latin is necessary for a classical education. 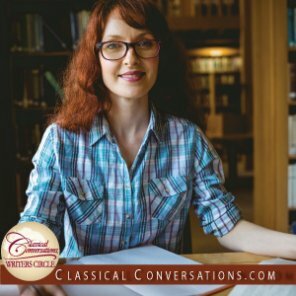 Attempting to classically educate without learning Latin means you are missing out on a true classical education. You do not need to learn it as rigorously as your child, but you should know enough to help your first-year Latin student. He/she will need your help at some point and you need to be able to give it. As you learn Latin, you can share with your student the strategies that you used to learn it. I like to use flashcards, write vocabulary over and over, and give myself a quiz. If you are so far removed from your student learning Latin, you won’t be able to help him/her with study strategies. Word study can enrich your study of the Bible. Once you know the roots of words in Bible translations, those words become richer to you. The depth of your comprehension is stronger. I know that we are all busy with our homeschooling lives. However, a study of Latin will enrich your life and your student’s life! Kathy Sheppard has a B.A. in Latin from the College of William and Mary and a M.Ed. from George Mason University as a reading specialist. She taught Latin at Spotsylvania High School in Virginia for nine years and has taught home-schooled students since 2004. She also has taught online classes to parents and students since 2008 and has been a Classical Conversations Challenge Program director in Fredericksburg since 2006. She studied in Rome in 2003 as part of the American Academy of Rome's Classical summer school. She lives in Virginia with her husband, Dave, her two daughters, Annie and Elizabeth, and her son, Robert. Visit her website www.latinandclassics.com.